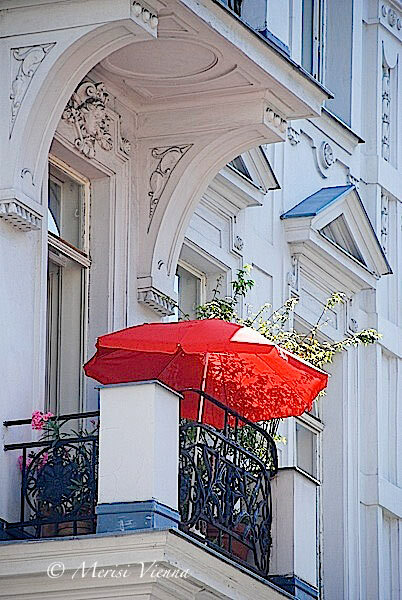 Red umbrellas are eye-catching. Such a nice scene!! Oh, I love that splash of red. It says it is a perfect summer.